Rockford and Elgin were in first and second place last year. Elgin saw a big increase in last year’s figures. This year, Elgin continues to see strong increases in the number of DUI arrests by it’s Police Department. The three towns on this list that I want to focus on are Gurney, Aurora, and Lombard. Last year, Gurnee had the biggest increase in DUI arrests over the previous year. Gurnee saw a 40.7% increase in the number of arrests. Last year, Gurnee had 211 DUI arrests. The previous year, Gurnee only had 150 DUI arrests. Gurnee’s Police Chief admits that the Gurnee Police Department has put a greater emphasis on DUI arrests and have has committed additional Department resources to target DUI arrests. Of the 418 DUI arrests in Elgin, one Elgin Police Officer made 105 DUI arrests in 2017. That’s almost 25% of the total DUI arrests in Elgin made by one police officer in 2017. Once again, Carol Stream saw a drop in the number of DUI arrests. This is the second year in a row that Carol Stream has had a drop in the number of DUI arrests. Last year, Carol Stream saw a 34.3% decrease in the number of DUI arrests. This year, Carol Stream saw a 4.6% decrease in the number of DUI arrests. In last year’s study, Carol Stream was in 5th place. This year Carol Stream has fallen to 7th place. In the past. Carol Stream was one of the leading towns for DUI arrests. While Carol Stream continues to see a drop in DUI arrests, the pace of the decrease seems to be decreasing. Winnebago County, home of Rockford, came in first place last year. 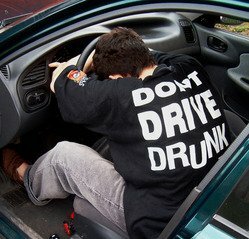 With the Rockford Police leading the way in DUI arrests by local Police Departments, and the Winnebago County Sheriff’s Department leading the way in DUI arrests for the second year in a row, Rockford seems to be the one place you want to avoid driving a car Under the Influence of Alcohol. James Dimeas is a nationally-recognized, award-winning, DUI attorney. James Dimeas has been handling DUI cases throughout Chicago, Cook County, DuPage County, Kane County, and Lake County, for over 25 years. James Dimeas has been named a “Best DUI Attorney.” Expertise named James Dimeas a “Best Criminal Defense Lawyer in Chicago.” The National Trial Lawyers named James Dimeas a “Top 100 Criminal Defense Trial Lawyer.” The American Society of Legal Advocates named James Dimeas a “Top 100 Criminal Defense Lawyer In the State of Illinois For the year 2018.” The American Institute of Criminal Law Attorneys named James Dimeas a “10 Best Attorney for Client Satisfaction.” AVVO rates James Dimeas as “Superb”, the highest rating possible for any DUI lawyer in the United States. If you are facing a DUI charge, you can contact James Dimeas anytime for a free and confidential consultation. You can always talk to James Dimeas by calling him at 847-807-7405. Which Suburbs Are Arresting the Most Suspected Drunk Drivers?, by Charles Keeshan and Sandra Sarkauskas, The Daily Herald, June 29, 2018. Alliance Against Intoxicated Motorists, Annual DUI Survey. Annual DUI Study Shows Elgin Push to Increase DUI Arrests Pays Off, by James G. Dimeas, Chicago Criminal Lawyer Blog, June 29, 2017.